Everyone listens to music. I've got over 3,000 songs in my iTunes library, but am always looking for more, and I'm sure you are too. You can never have enough tunes to rock out to, right? 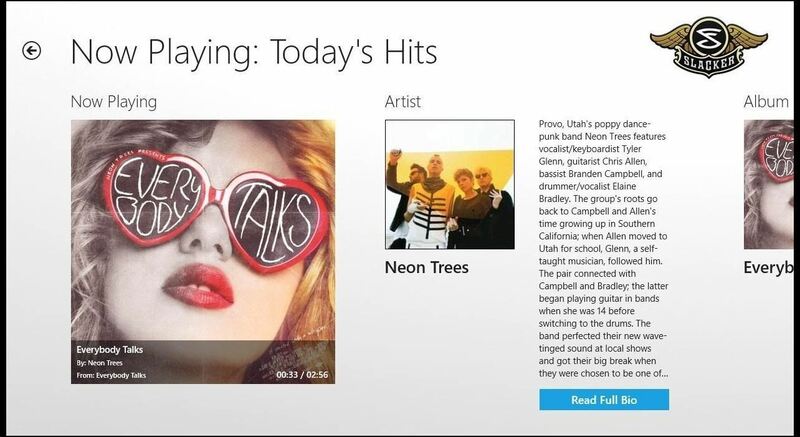 If you're using Windows 8 like I currently am, these are some of the best apps in the Windows Store right now that will help you find new jams for your collection. The native music app is pretty decent on its own. 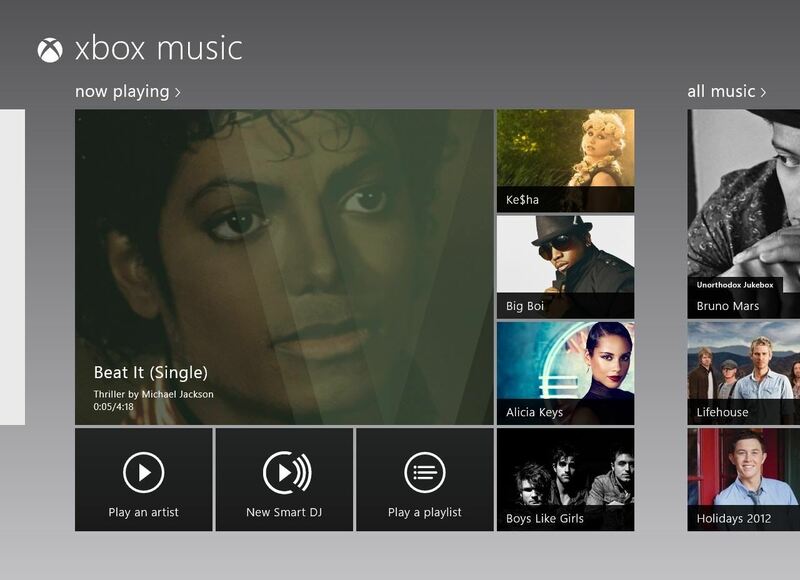 Not only does it look great, but it has access to some of the newest and most popular albums available. When listening to full albums and other music, though, there are advertisements. The Smart DJ is also a great tool for someone who's used to Pandora and looking for an effortless music offering. Just enter in a few artists and the DJ will play similar songs. For those looking for someone or something in particular, the search function is pretty good. You can simply start typing the name or genre of music you wish to hear and the app will search for songs relating to your query. Then, choose your artist and enjoy a nice slideshow of photos and a perfectly reliable stream of music. The application also plays music stored locally, but you have to add those files manually, which can be a hassle. 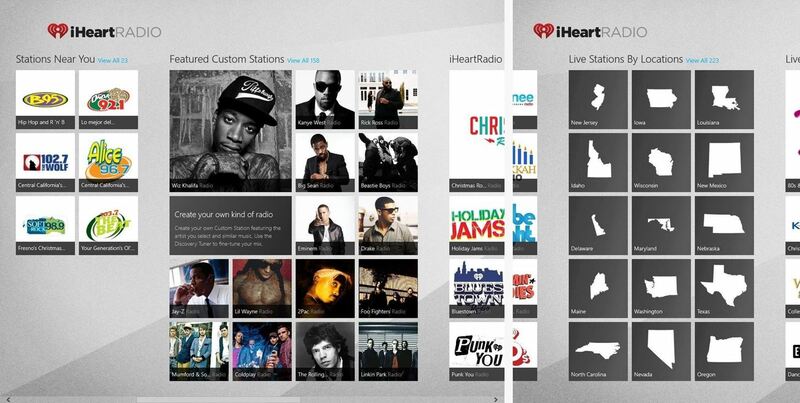 iHeart Radio is great app that provides variety with customizable stations, similar to Pandora and Spotify, but also gives you access to a bunch of local and non-local stations. As each song plays, you are provided with album art and artist information. 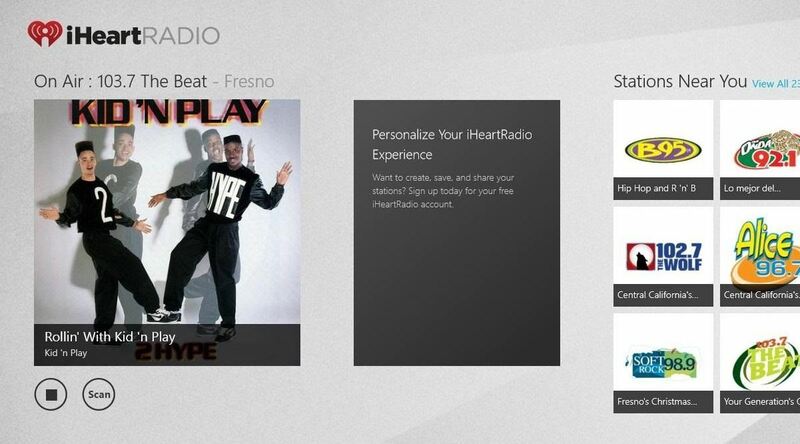 To create a custom station you will need to sign up, but it's free. Beyond this, the app looks great with an extremely sleek interface and is very easy to use. 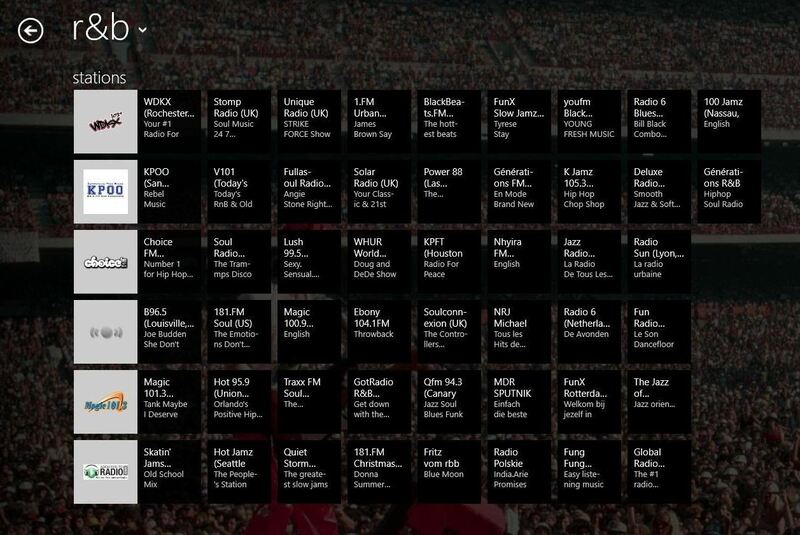 Slacker Radio is probably the most similar to Pandora in that it is more personalized than other radio apps available in the Windows Store. 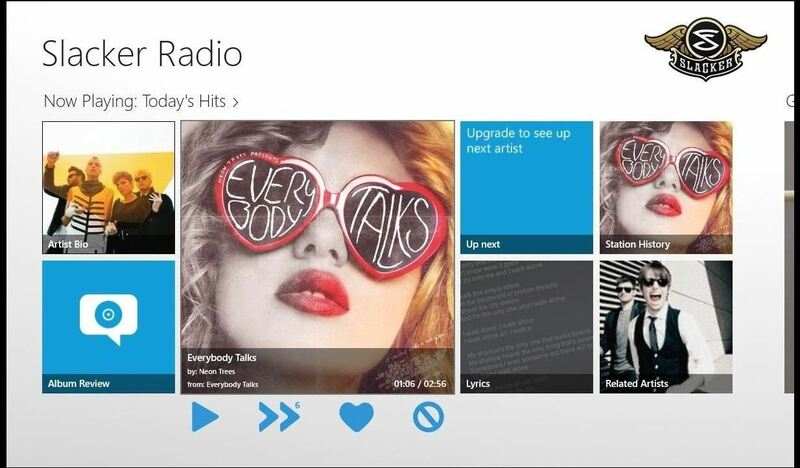 By skipping or liking songs, the app will begin to learn your taste and adjust the stations songs accordingly. The app also provides bios for almost every artist and album art. Free users are limited to a certain number of skips per day and will be hit with the occasional ad. If you upgrade to the $4 monthly fee, you can get rid of ads and skip as many songs as you want. For $10 a month, you can do all of that plus create your own playlist and search and play any song available in the Slacker library. TuneIn Radio is a good app for the musically inclined. If you're like me and are stuck in your car for hours on end, radio apps like this one make the commute so much less painful. While the mobile version is great, the desktop version is just as useful. 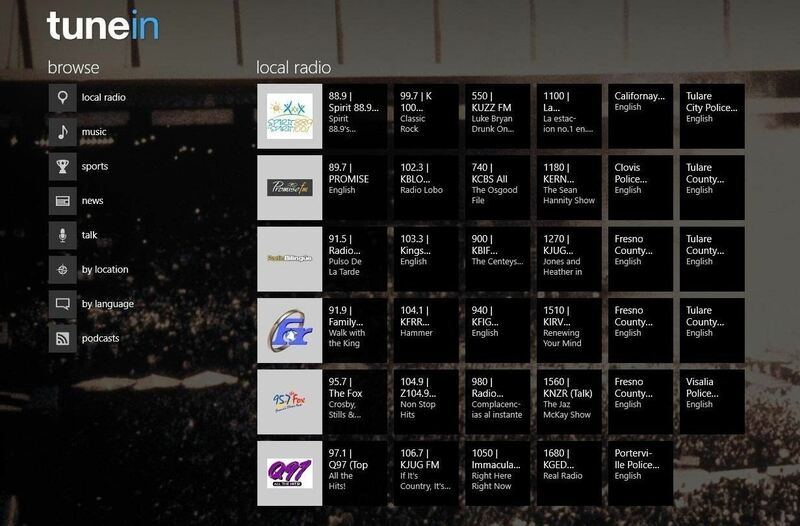 You can browse through local stations, browse by category, and listen for hours on end. The streams are very clear and you can access some of the best stations around the nation. 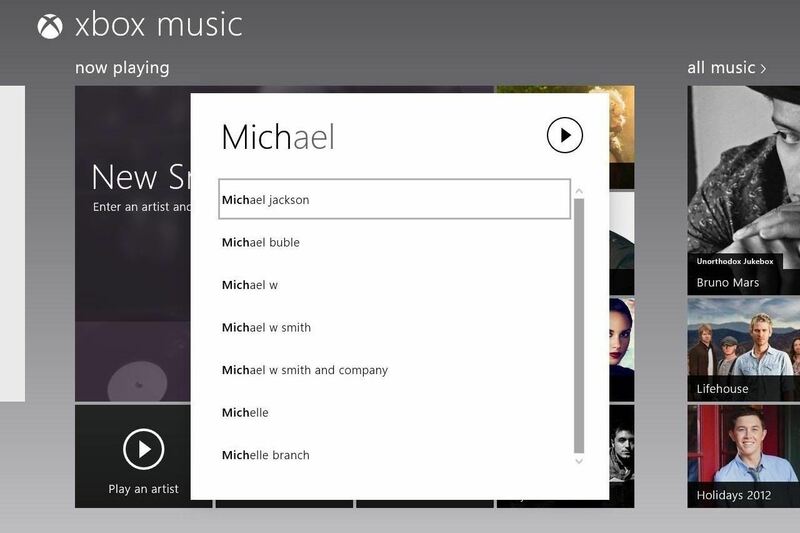 There are connection errors every so often, and a universal search bar would be a great addition, but nevertheless this is one of the better music application in the Windows Store. MusixMatch is a lyric provider. 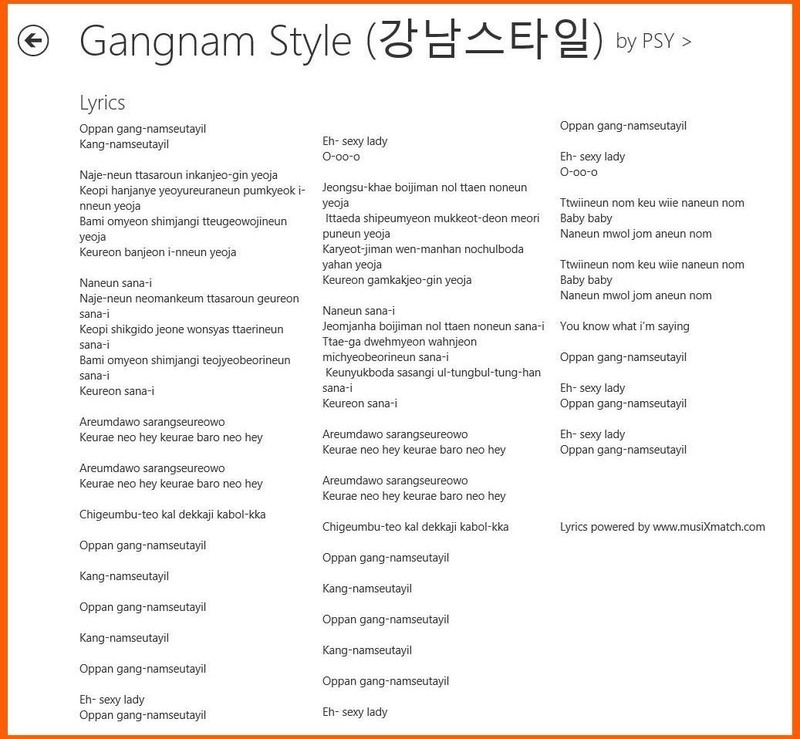 It can listen to the song playing in the background if you have a microphone enabled on your desktop, and it also provides lyrics for the songs that you have in your music library. You can sing along and finally know what some of your favorite artists are actually saying. 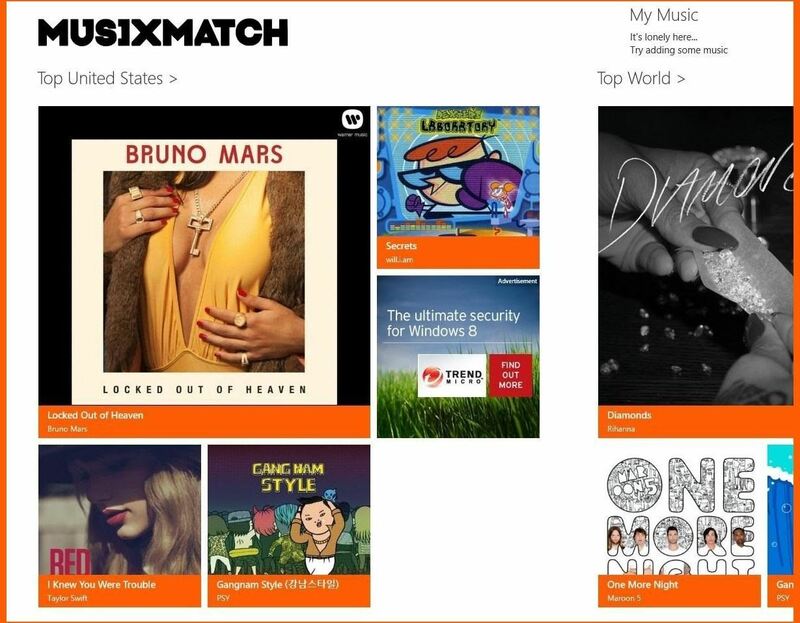 MusixMatch also provides lyrics for popular songs not included in your own personal library. Videos for the songs are available via YouTube, but it does take you out of the application. Gangnam Style? Of course they have it. It's a nice little app that provides more functionality for those who have a bunch of music on their device. Prime Tube is an elegant YouTube player. For people who like to watch music videos instead of just listening to songs, Prime Tube organizes trending and popular videos in a very accessible layout. 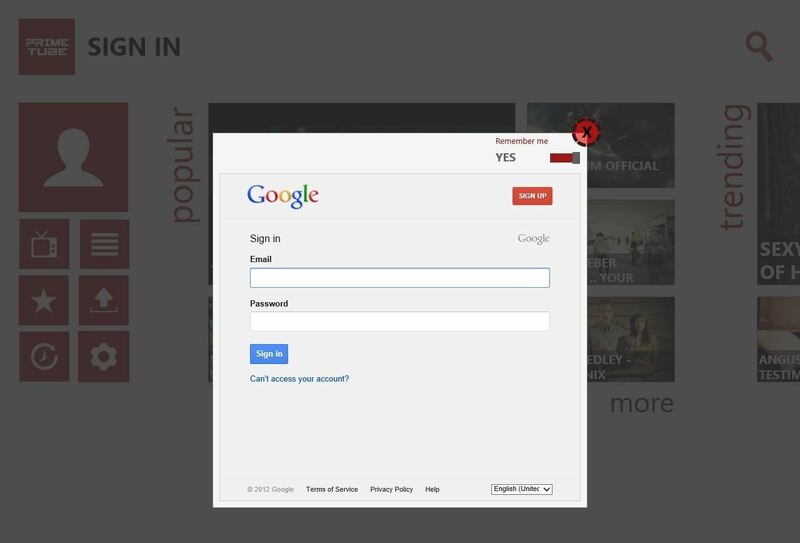 If you have a YouTube account, you can sign in to gain access to your playlist and subscriptions. Some videos display the lyrics underneath for those interested. The search function is pretty good and provides similar results to a regular YouTube search. You cannot close or minimize the window the video is playing on without the music turning off. This is a setback for me. 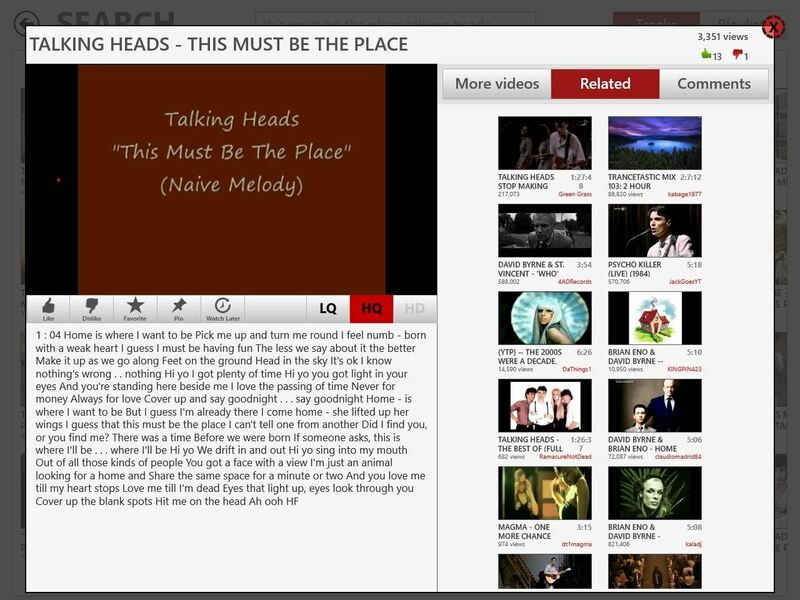 I want to be able to hear the music from the video I have chosen while using another application or browsing for another song within Prime Tube. Nevertheless, it's just another great way to browse and enjoy YouTube without having to deal with its constantly changing layouts. 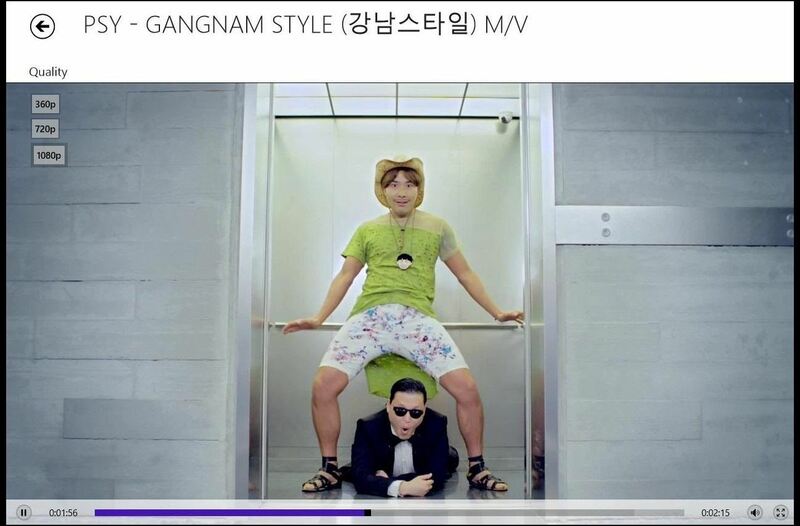 Music Videos HD provides the highest quality videos available, with up 1080p resolution. 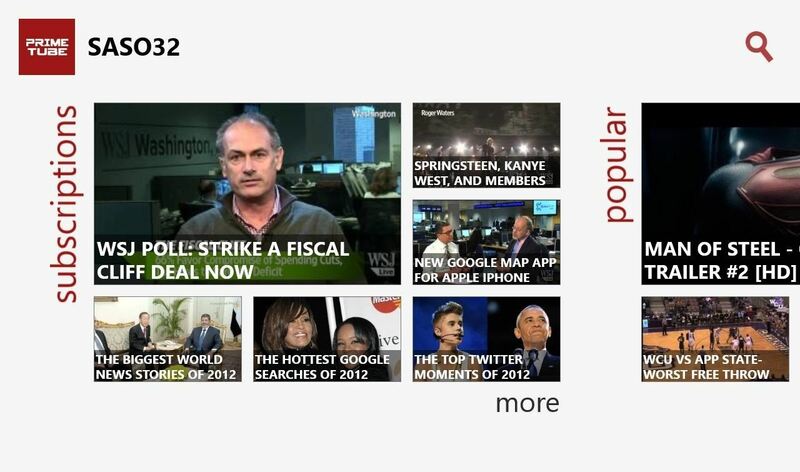 It organizes the videos by weekly downloads for easy browsing of the trending videos. You can also go back a few years and check out what videos were cool in May of 2011, for instance. The quality is great and I have yet to run into any buffering problems. The inability to create playlists is a miss for me, but overall, this is one of the better music video applications available. 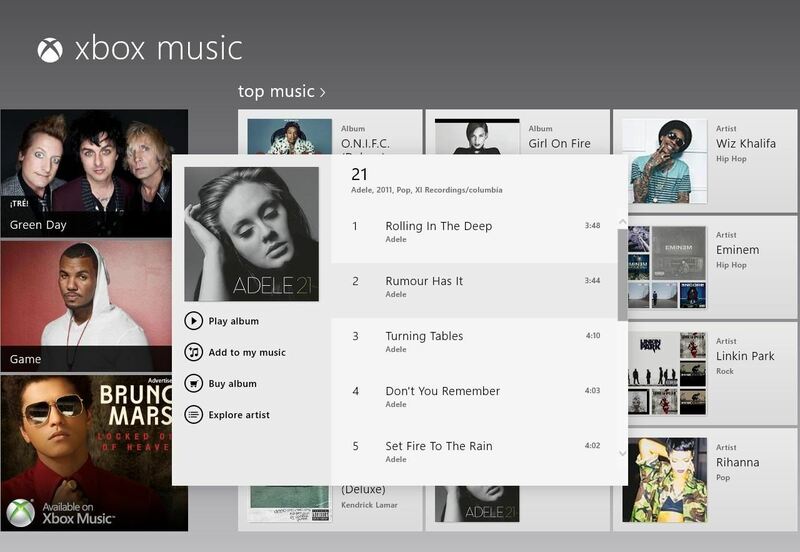 Know of a great music app in the Windows 8 Store that's not on this list? Be sure to let us know about it in the comments section below.